You can find the current Clockwork 100 S here. The 29er version of the Clockwork just keeps us coming back for more. 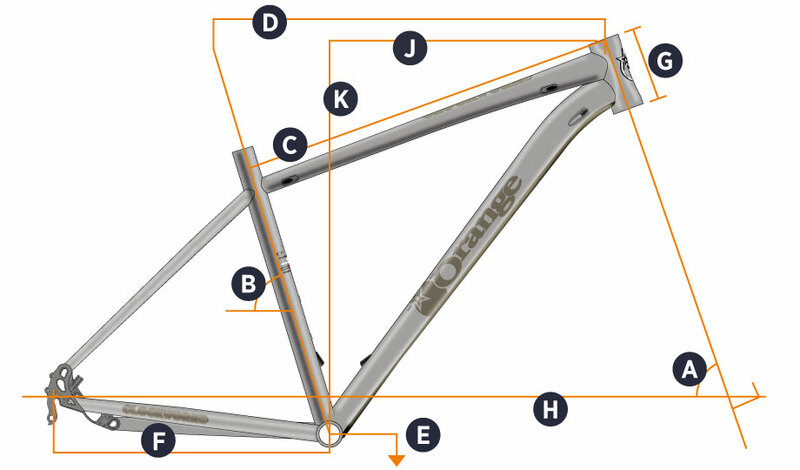 Even more so for 2016 as we've lengthend the top tube and shortend the stem for improved rider weight distribution. It will roll at speed all day long, and take on gnarly descents with a confidence most would baulk at. The frame light on weight but heavy on features. Custom butted and shaped tubes, a chainstay mounted disc brake mount combined with internal brake, gear and dropper post routing make for a sleek profile. Why the Clockwork 100 S? With its 100mm RockShox Recon Gold forks, Shimano SLX drivetrain and RaceFace finishing kit the Clockwork 100 S is all about dependable performance, whether that be out on the hills or on the start line. Looking for the perfect entry point to the Orange range? The Clockwork 100 might just be it. Prefer 27.5inch wheels version? Try the Clockwork 120 S.
Seat Tube 17" 19" 21"